Digital Rights Management (“DRM”), and the assorted encryption techniques that fall under its moniker, has become industries’ primary preventative weapon for thwarting rampant content piracy. It’s been their canon, their go-to machine. Unfortunately, like any weapon if improperly used it has the ability to blow up in its user’s face. Sony learned that lesson the hard way in 2005. Now, the use of a different Sony developed technology called SecuROM, along with a questionable disclosure policy, has put video game publisher Electronic Arts (EA) in the crosshairs. A lawsuit’s already been filed. 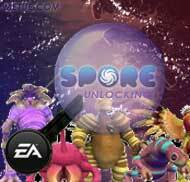 In early September, EA began selling their much anticipated PC title, Spore, around the globe. The game had a celebrated developer in SIMS creator Will Wright. It’s music was assembled by the famed Brian Eno. Reportedly, six years and a huge budget were dedicated to getting it right. The ambition was huge: mobile and portable (Nintendo DS) offerings, a major PC release and eventual console offerings. There were plans for crossover marketing, talk of a store for micro transactions and extendable content, maybe even movie rights. Spore was to be for PC games what Grand Theft Auto IV was for console titles – a hotly anticipated, sure thing, A-list blockbuster. It was to be a tent pole, the can’t miss release. Somewhere on the way to retail, Electronic Arts stepped on a DRM landmine. To protect Spore and its revenue stream against piracy, a well understood business requirement, EA relied on a Sony DADC developed technology called SecuROM. Around for years, and released in multiple incarnations, the technology has been used by many gaming companies and music producers to help secure their discs. Traditionally, its implementation has used a local software program alongside a disc encoded electronic key. It goes to work when a CD-Rom or DVD is inserted into a player. Then the software checks the disc key to verify it is original. If it’s not, it prevents the pirated version from being played. EA’s implementation was assembled in a similar fashion with the exception being the keycode was validated through a one-time online registration. The online process, EA explained on their website, makes it possible for customer’s to play their games without having to keep the original disc in the drive. It’s more efficient and easier, they note. The troubles, however, began to arise with the lack of disclosure. Buyers weren’t informed SecuROM was being used. They didn’t realize, or EA didn’t disclose in any obvious way, that when the game was purchased and installed, the local SecuROM application was loaded too. Customer’s also weren’t given a tool to remove SecuROM. Even after uninstalling Spore from your computer, it would remain persistent on your local computer – occupying hard drive space and potentially using your system’s resources. In some cases, it could even cause system damaging conflicts. Still, the restrictive initial stance raised customer ire. Some called it “draconian,” other’s lamented at how piracy, and the crimes of a few, are causing companies to treat the majority of customers like criminals. Consumers were not pleased. In consequence, though Spore has already sold well enough to hit number two on Amazon’s top selling PC games list, just behind Blizzard Entertainment’s upcoming World of Warcraft expansion pack, the number that is most telling, is the near 3,000 (and growing) customer reviews that have given Spore a combined rating of 1.5 out of 5 stars. The press has been quick to report on the fiasco. Blogs and digital enthusiasts have been unforgiving. The issue, as it evolves, is becoming less a factor of EA’s use of DRM technologies (SecuROM isn’t new) nor even the heavy handed way they were seemingly applied. Here it’s a referendum on poor disclosure and a lack of transparency. What could have been an easily avoided conflict has turned into an unfortunate P.R. nightmare that’s taken on a life of its own. As of September 22nd, only two weeks after the games U.S. debut, there’s already a lawsuit on file. According to a filing discovered by Courthousenews.com plaintiff’s law firm Kamber and Edelson, a small firm carving out a niche for taking on tech companies customer transgressions, filed a California law suit seeking class action treatment. Kamber and Edelson, which was formed by the merger of a boutique NYC firm and a similar Chicago outfit, has already successfully sued AT&T and Facebook. They’re making a name for themselves in charging corporations with “digitally trespassing” on consumer computers. The case against EA, which has all the earmarks of a suit that will be settled with no admission of wrong doing, charges the same thing. It accuses EA of unlawfully putting a program on a customer computer (the trespass). It also accuses EA of misrepresenting its services under California’s Consumers Legal Remedies Act (Section 1750) and of using fraudulent business tactics. Again, it’s disclosure. It’s not that EA is using SecuROM, it’s that they didn’t give customers information to make an informed decision. They didn’t fully disclose the practice or the limitations on total installs. The lawyers will argue that was fraud and willful misrepresentation – unfair business practices. EA is not the first, nor likely the last, company to get into trouble for poorly disclosing policy choices. Facebook raised eyebrows and consumer advocates furor with the launch of their “Beacon” ad system. More notably, Sony got deep into hot water with their music copyright protection scheme in 2005. That fiasco, which earned its own Wikipedia page and class action lawsuits in New York, California and Texas borders on infamy. Representing the business issues, Sony Pictures US VP Steve Heckler told an audience at an August 2000 conference: “The industry will take whatever steps it needs to protect itself and protect its revenue streams… It will not lose that revenue stream no matter what…. Sony is going to take aggressive steps to stop this. We will develop technology that transcends the individual user. We will firewall Napster [the subject of the discussion then] at source – we will block at your cable company. We will block it at your phone company. We will block it at your ISP. We will firewall it at your PC… These strategies are being aggressively pursued because there is simply too much at stake. “ (source: Wikipedia). Stewart Baker, then assistant secretary for policy at the Department of Homeland Security made the consumer counterpoint in 2005 saying to corporate audiences: “it’s very important to remember that it’s your intellectual property – it’s not your computer. And in the pursuit of protection of intellectual property, it’s important not to defeat or undermine the security measures people need to adopt in these days.” (source: Wikipedia). Spore was supposed to be the hottest seller in the PC games’ marketplace. Instead, while it seems to be doing well, it’s earned the dubious distinction of becoming one of the most pirated games of all time. More than 500k copies have reportedly been downloaded illegally, many merely as spiteful statement to make a point. The sum total in potential lost revenue caused by this rush of piracy could approach $20 or $25m. Add in the intangible costs of bad P.R., lost sales momentum and possibly, legal settlements, and EA’s poor disclosure choices and it could well cost them $50m in lost opportunity and actual expense. That’s a big number but on lists of corporate mistakes it’s not really “That” big. Microsoft’s “Red Ring of Death” Xbox manufacturing troubles cost them more than $1b in actual charges (not just lost business). Recalled laptop batteries were outrageously costly for Sony too. EA will get passed this and Spore will rise or fall on the strengths of its game play. And while maybe it’s not up to the exceedingly high expectations set for it, it’s an addictive and intriguing game release. Disclosure and transparency are recurring issues. DRM is a tool that can help or harm. EA messed up. What could have been a misunderstanding and minor oversight snowballed into a public relations catastrophe. Still, all things considered, in the Corporate Hall of Shame’s Special Collection of scandals and screw-ups, EA’s missteps here aren’t likely to add up to more than a footnote. They certainly won’t warrant their own exhibit.